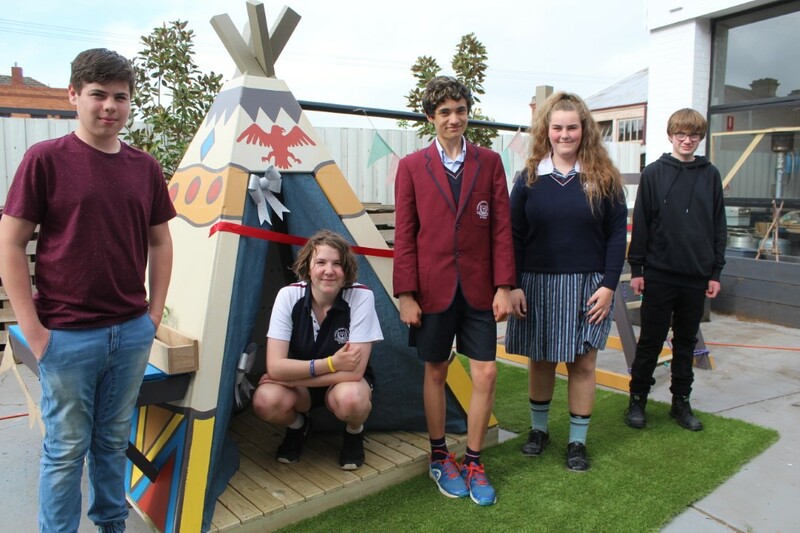 Sacred Heart College LINCS students Christian Lewis, Sinead Pierce, Daniel Boulton, Carlie Hassett and Charles Andrews show off the playground. 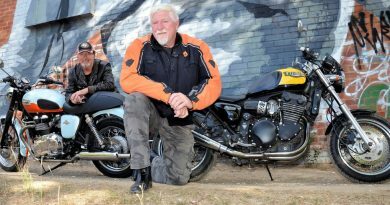 Cafe visits to Kyneton’s Social Foundry have been made more fun for children since the unveiling of new purpose-built play equipment last week. 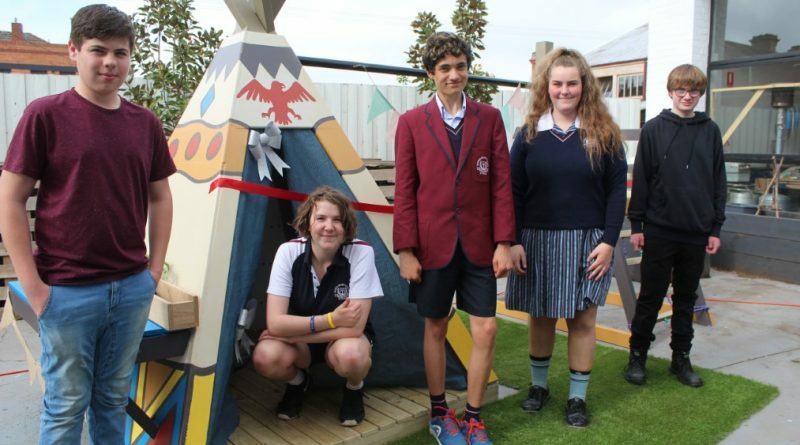 The play space was a focus project of Sacred Heart College students undertaking the school’s Learning, Initiating, Networking and Connecting for Success program. 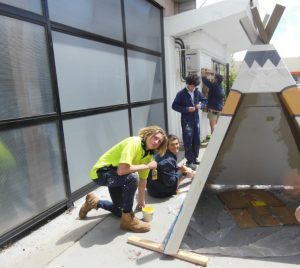 After meeting with the Social Foundry’s Paul Dettman, the team of 14 designed, budgeted and built a wooden tepee, climbing platform and vertical garden wall/potting station that incorporates a novel way for the cafe to recycle its coffee cups. Mr Dettman said the finished product was beyond what he had imagined for the non-profit social enterprise when he initially met with the students. “We needed a play area and we needed it to be something that was engaging and exciting,” he said. 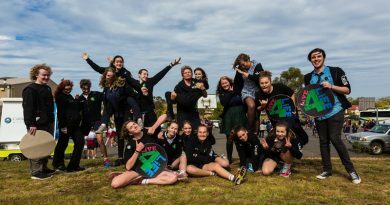 The project was student driven with the support of various mentors at the school, Kyneton Community Learning Centre and Cobaw Community Health. SHC mentor Joanne Holmes said the LINCS program was an alternative applied learning subject offered to year nine students to connect them to meaningful projects in their community. 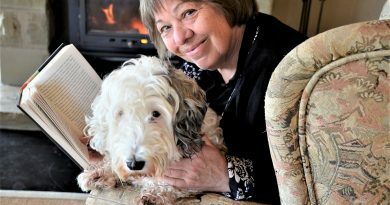 “We can really see the growth in these students from term one to what they have produced in term four,” she said. The LINCS program has been a success at the school since it was piloted in 2015.